Home / Events and projects / Eat Smart Challenge is here! Eat Smart Challenge is here! How we eat can change the world! 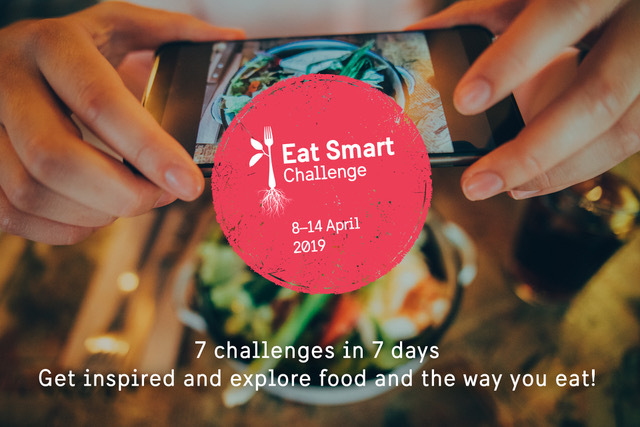 Join us in the Eat Smart Challenge with 7 fun challenges in 7 days and you will explore how to eat more sustainably. We invite you to participate in a seven-day challenge to eat sustainably and smart, go green, cook your meal from scratch and love your leftovers. The purpose of the Eat Smart Challenge is to encourage awareness about food and its effect on the environment. It´s a global initiative that anyone can join. Challenge yourself along with your friends and get inspired to make daily changes in your food habits. Eat Smart Challenge is part of SI´s initiative Food for Tomorrow.